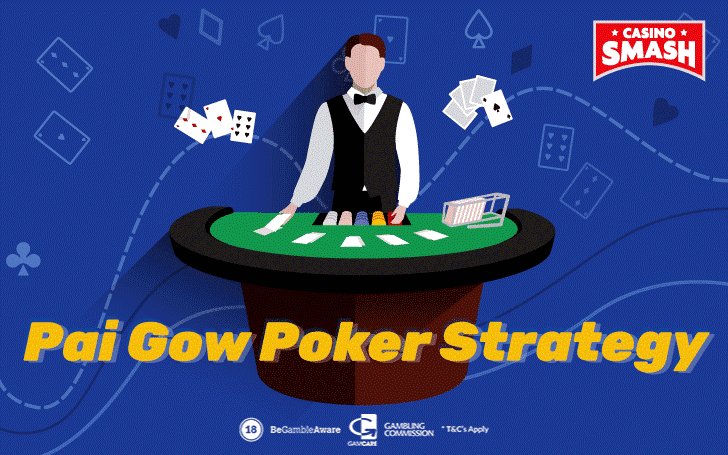 Can You Identify The Best Strategy to Win at Pai Gow? Play Pai-Gow Poker like a pro with the Optimal Strategy! Poker is rightfully one of the most popular card games in the world. Being so popular it gave birth to many Casino games based on it: , Video Poker, Caribbean Stud Poker, Three Card Poker, and Pai Gow Poker. Pai Gow Poker is one of the newer variants, introduced only in 1986. While it's based on the , it takes Poker games to a completely different level. Pai Gow Poker has an interesting twist in the Poker rules, exciting yet skill-requiring gameplay, and optimal Pai-Gow strategy that can give you better odds at winning. As a Poker player, I love it. And you will too. When you play Pai-Gow Poker, the dealer (in Pai-Gow called the banker) uses a 53-card deck. It consists of the standard 52-card deck and a single Joker. This Joker works as a wild card and can help you complete a Straight, Flush, Straight Flush, or can be used as an Ace. Keep in mind: it doesn’t work as a wild card in other cases. The game starts after the players place their bets. When we talk about online Pai-Gow Poker, you make that call alone. After placing the wager, you get seven cards. Your goal is to divide them into a five-card high hand and a two-card low hand, each beating the dealer’s high and low hands accordingly. Your high hand must be of a higher Poker value than the low hand. If it’s not, it’s a foul. 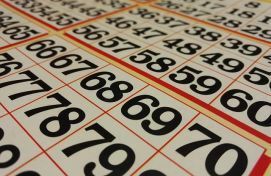 When playing at brick-and-mortar Casinos, it will certainly make the Casino take your money. And it’s the stupidest way to lose your bet, I may add. But when you play online, the platform is generous enough to warn you that you make a bad move and need to adjust your hands. Five Aces is the highest hand (thanks to Joker), then goes Royal Flush, Straight Flush (highest one being Ace-2-3-4-5 hand), Four of a Kind, Full House, Flush, Straight (Ace-2-3-4-5 being the second highest) and then follows the classic Poker hand rank - you know the drill. The dealer then sets their hand in a similar fashion to predetermined rules. if your high card is higher but the low card is lower than the banker’s (or vice versa), it’s a push. if it’s a tie on both high and low hands, the banker wins. When you don’t use any strategy and play randomly, the house edge of Pai-Gow Poker is around 2.84 percent. That’s higher than European Roulette (2.70 percent house edge) which is essentially a game of chance. Contrary to Roulette, you can use an optimal strategy to avoid foolish mistakes. When you adopt an optimal Pai-Gow Poker strategy, you will see the house edge drop to approximately 2.54 percent. Pai-Gow Poker strategy is quite straightforward. It all lies in how you set your hands. 16 percent of the time you won’t have a Pair in your hand. It’s rare but it happens. Then, playing the second and third highest cards as your low hand is usually the best Pai-Gow strategy to adhere to. When you find a Pair in your hand (41.6 percent of the time), use it in your high hand. Then choose the two highest kickers for the low hand. For example, you get As-Ac-Kd-Td-6h-5h-2h. Then you should put the Kd-Td as your low hand and use As-Ac-6h-5h-2h as your high hand. Another 23 percent of the time you will have two pairs in your seven-card hand. According to the optimal Pai-Gow Poker strategy, you should first look at what the best low hand that you could make if you play both pairs in the high hand. If your highest pair is jacks or 10s and you have an Ace in your hand, make the low hand Ace-high and keep the Two Pair together for the high hand. If your highest pair is 9s or lower, only keep the two pair if you have Ace or King for the two-card hand. Otherwise, split the Two Pair into one Pair for each of your hands. Since you get seven cards, it is also possible to land three pairs. When this happens, play the highest Pair in the low hand and the second and third highest Pairs in the high hand. If you have a Straight, keep it for the high hand. If your straight consists of six or seven cards, make sure to use the two highest cards for the low hand. Without destroying the Straight, of course. Same goes for the Straight Flush. It goes the same as with the Straight. Complete the Flush for the high hand but if possible keep the highest cards for the low hand. This one’s easy. The Full House is essentially a Three of a Kind + a Pair. And you should play it as such: Three of a Kind for the high hand and a Pair for the low hand. If it’s three Aces, then use a pair of Aces as your high hand and an Ace and the highest kicker in the low hand. Otherwise, play the two highest kickers in the low hand while keeping the Three of a Kind in the high hand. You’ve probably spotted a trend in the optimal Pai-Gow Poker strategy by now. It continues when you have a Three of a Kind with one Pair, Two Pair, or two Three of a Kinds. In this scenario, in order as described, Pai-Gow strategy states that you should always play a Pair in the low hand or the higher Pair in the low hand, or a Pair from the higher set in the low hand. Chances to get the Four of a Kind are low even when you play Pai Gow Poker - that can happen only 0.2 percent of the time. But if I didn’t mention it here, it would probably be the first hand you land. So, let’s take a look at it. You should never split Four of a Kind deuces, threes, or fours. But you should split fives if you don’t have a Ten-high or better low hand. Likewise, split sixes only if you don’t have a Queen-high or better low hand. Four of a Kind sevens and eights should only be split if you don’t have a King-high or better for your low hand. Split nines, tens, or jacks if you do not have an Ace-high or better for the low hand. And then always split queens, kings, and aces. The only time you would deviate from this Pai-Gow Poker strategy is if you also had a pair to go with your Four of a Kind. Then, use the pair as the low hand and keep those all-powerful quads together! Unless your Aces are accompanied by a Pair of Kings, split them into Three of a Kind for the high hand and a Pair for the low hand. Your Aces should stick together only if you have two Kings for the low hand. Follow this Pai-Gow strategy and you’ll maximize your chances of winning both the high and the low hands. You’ll still push a lot in Pai-Gow Poker, but that’s half of the fun. Comparing to some other Casino games, Pai-Gow Poker strategy is fairly easy to remember. When you have a fair share of practice, of course. But with the magic of the internet, it’s easy to practice Pai-Gow Poker online. , use search to find Pai-Gow Poker, and practice Pai-Gow strategy for free. You’ll have enough free credits to learn the strategy and maybe even discover your own tricks on how to improve your odds. Then you can use the same site to . There’s even a fabulous bonus waiting for you when you start. Using an optimal Pai Gow Strategy can save you a lot of money in the long run because it reduces the house edge by 0.3 percent (read: you’ll save €3 for every €1,000 wagered). Take time when setting up your hands. You need to have two hands, the five-card hand being equal in value or higher than the two-card hand. When the two-card hand is higher, it’s a foul - silly way to lose your bet. But don’t underestimate the low hand. While it has to be lower, it doesn’t mean it should be very low. You don’t want push, you want the win, remember? Thus, essentially, you should first make the highest possible two-card hand while still keeping it lower or equal to the five-card hand. Always remember: You need two great hands to win. One just won’t do. Bonus info: terms and conditions apply to the offer. If something isn't clear, have a look at our review of Betway for the T&Cs in full. The offer on this article might have expired by the time you read it. Please refer to the review pages for the latest bonuses and promotions available.